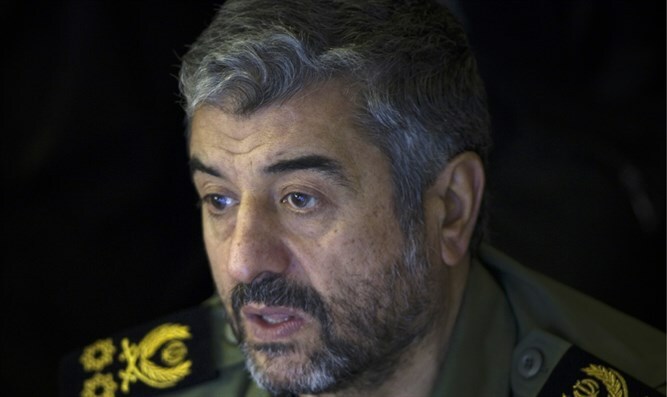 Head of Iran’s Revolutionary Guards warns U.S. against designating it as a terrorist group. Iran’s Revolutionary Guards on Sunday warned the United States against designating it as a terrorist group, saying U.S. regional military bases would be at risk if further sanctions were passed, Reuters reported. “As we’ve announced in the past, if America’s new law for sanctions is passed, this country will have to move their regional bases outside the 2,000 km range of Iran’s missiles,” the commander of the Revolutionary Guards, Mohammad Ali Jafari said, according to state media. Jafari further warned that additional sanctions would end the chances for future dialogue with the United States and issued a stark warning to American troops. “If the news is correct about the stupidity of the American government in considering the Revolutionary Guards a terrorist group, then the Revolutionary Guards will consider the American army to be like Islamic State all around the world particularly in the Middle East,” he threatened, according to Reuters. “The Americans should know that the Trump government’s stupid behavior with the nuclear deal will be used by the Islamic Republic as an opportunity to move ahead with its missile, regional and conventional defense program,” he stressed, according to the report. His comments come amid reports indicating that Trump plans not to recertify Iranian compliance with the 2015 Iranian nuclear deal. The president must inform Congress whether Iran is complying with the deal by October 15. In August, Trump signed into law a bill which imposes sanctions on the Revolutionary Guards. Iran had blasted the United States over the bill, threatening U.S. military bases in the region. The Trump administration had previously imposed new sanctions on 25 individuals and companies connected to Iran's ballistic missile program and those providing support to the Revolutionary Guard Corps' Qods Force. The sanctions came in response to a ballistic missile test conducted by Iran, in violation of UN Resolution 2231, which bars Iran from conducting ballistic missile tests for eight years and which went into effect after the nuclear deal between Iran and the six world powers was signed.